Present Managing Director, younger son of Dr. M. M. Amjad Hussain. Prior to becoming Managing Director, he was Director Marketing of Drug International Limited. He was also elected Chairman of Khwaja Yunus Ali Medical College & Hospital, Khwaja Yunus Ali Medical College. 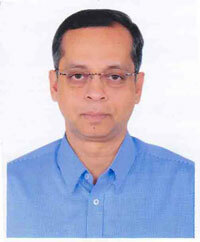 He is also Managing Director of ATI Limited, ATI Ceramics Limited and Harnest Label Industries. Governing Body Member of Khwaja Yunus Ali University and KYAMCH Nursing Institute.